To our dear friends in Europe and Australia who have been waiting so patiently for the realize of Azure Striker Gunvolt, the wait is finally over! 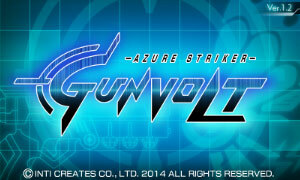 Azure Striker Gunvolt will be available on the Nintendo 3DS eShop on April 2, 2015 at 3 pm CEST. Now, let’s get down to the details! The price of the game will be 12.99 EUR/16.90 AUD; for those of you who live in a country that does not use these currencies, please check your country’s Nintendo eShop for the price in your country. Since the North American and Japanese versions of the game have already been updated to Version 1.2, the EU/AUS version will come pre-updated to Version 1.2 without having to download a separate update. 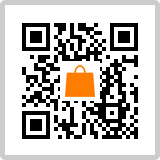 Details about the Version 1.2 update can be found here. Just as we did in both North America and Japan, we will be running a special three month long promotion that allows everyone who purchases Azure Striker Gunvolt to download MIGHTY GUNVOLT free of charge from the beginning of the sale of Azure Striker Gunvolt on April 2nd until July 3 at 12:59:59 am CEST. Since MIGHTY GUNVOLT has also received an update of its own, players will be available to download the fully updated version without having to download a separate update, and will have immediate access to the game’s DLC. Information about the DLC can be found here. As we announced on our social media earlier this week, all three Nintendo 3DS Home Themes that are currently available in North America will also be available as well! These will be available on the Themes Shop exactly one hour after Gunvolt opens up for sale, and can be downloaded for 1.49 EUR/1.95AUD. If your country does not uses these currencies, please check your country’s Nintendo eShop for the price in your country.